Which software to use to practice parametric modeling? Either an autonomous product or a plugin to another CAD tool. 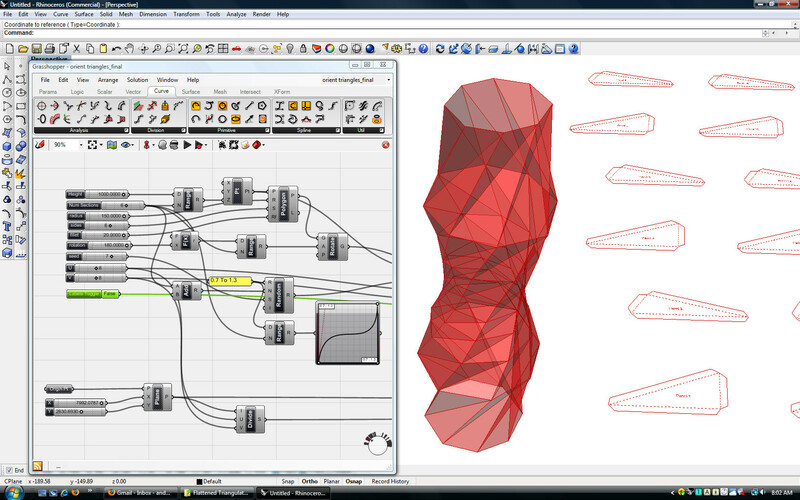 Grasshoper is a built-in plugin for Rhino which is the more popular way to design with parametric modeling. Grasshoper is free when you have a Rhino license. It is not (yet) open source. It has an active community that post on Grasshoper Forum. Grasshoper use the principle of Visual programming. You manipulate some sliders that allow you to modify geometries depending on different criteria. The resulting could be exported in code, or you can also use code inside your graphical elements. Block of elements can serve as input to other modifiers chains. For example, you design a column parametrically. This complex column is used to create a composition of columns. This composition follows new parametric rules, but without exposing column design complexity. Grasshoper can be used to design architecture, furniture, video games… anything actually. And one of its strength is not to be purposed to architecture so that you can explore innovative geometries and think differently. Dynamo is designed to be a parametric extension of Revit. It allows to design parametrically in the context of BIM project. To be able to communicate with a client and to simplify parametric design complexity only exposing the more important variables, a viewer is needed. Speckle allow exporting a Grasshoper parametric design into a special format. Which can be imported in Speckle. You can choose which variables to expose to be able to preview different design options. Speckle is available as a hosted application(currently in open beta) or could be installed on your own server as it is in open source. You can see an online demo.